East Greenbush Central School District began distributing chromebooks to students this week at Columbia High School. 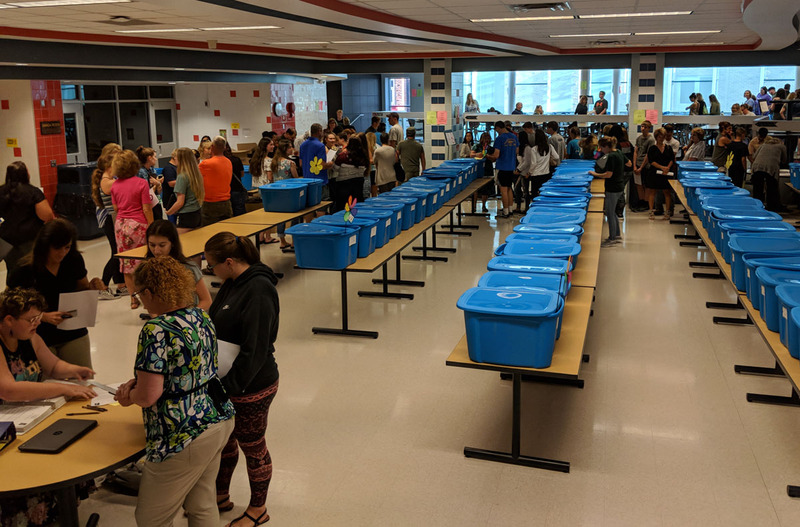 Students began picking up their chromebooks this week as part of East Greenbush Central School District’s new Lighthouse 1:1 Chromebook Program. 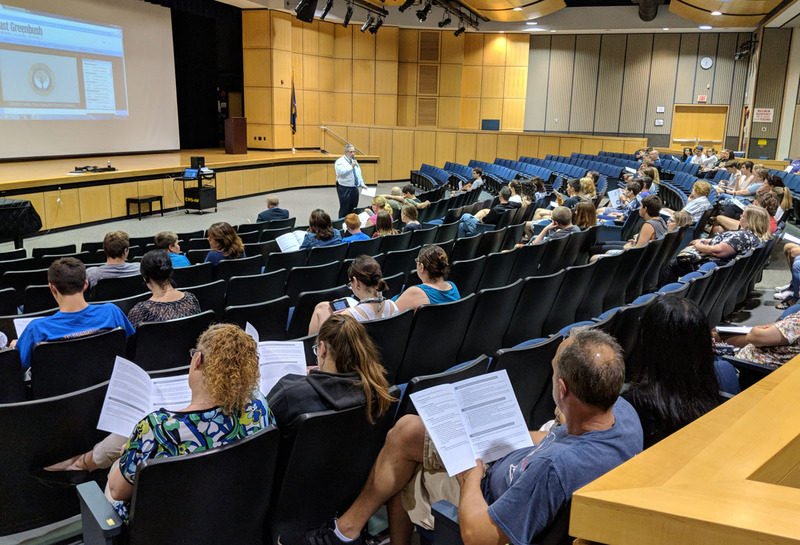 Joined by their parents, students listened to a brief presentation from Director of Technology Peter Goodwin and Columbia Assistant Principal Ed Kilmartin about the program and how it would improve instruction. 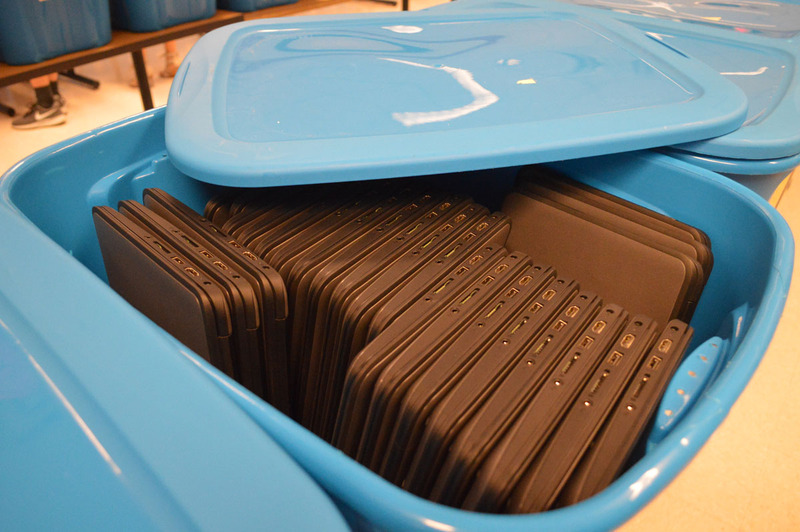 Immediately afterward, students and parents walked from the auditorium to the cafeteria, which looked like a makeshift Amazon warehouse with rows of blue bins, to receive their chromebooks. Kickoff meetings for middle school and high school students will continue by grade level throughout August. Click here for the full schedule and for more information about the program. Special thanks to the Technology Department staff and the volunteer teachers, students and parents who are assisting with the Chromebook Kickoff Meetings!